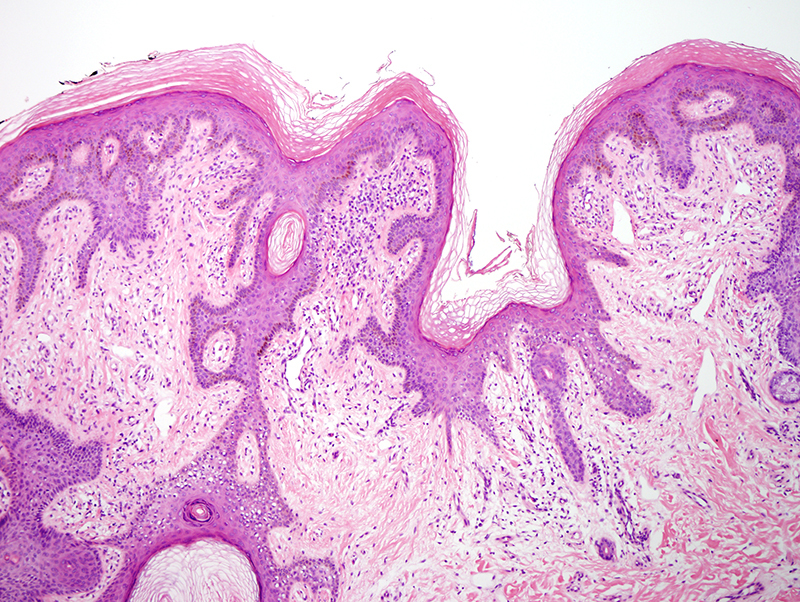 Epidermal nevi are benign, hamartomatous growths that are identified at birth or during early childhood. 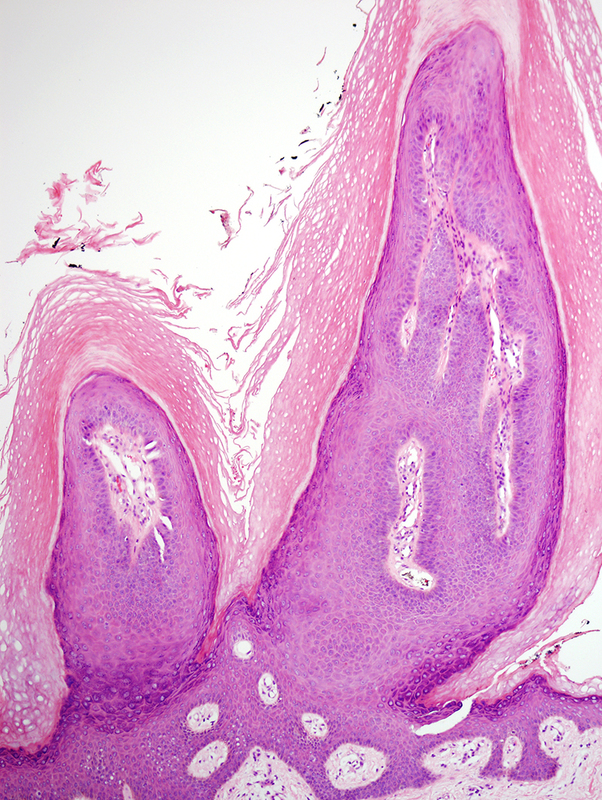 Most lesions are sporadic, occurring at a similar frequency in males and females and appearing on the extremities and trunk. 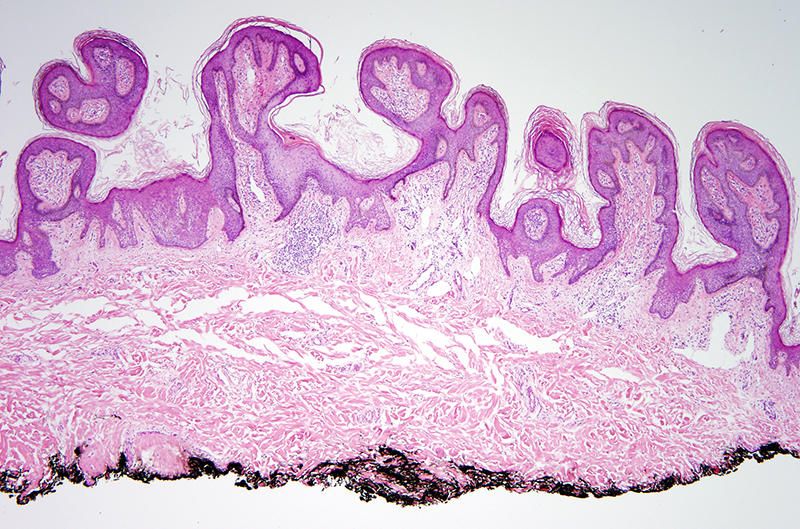 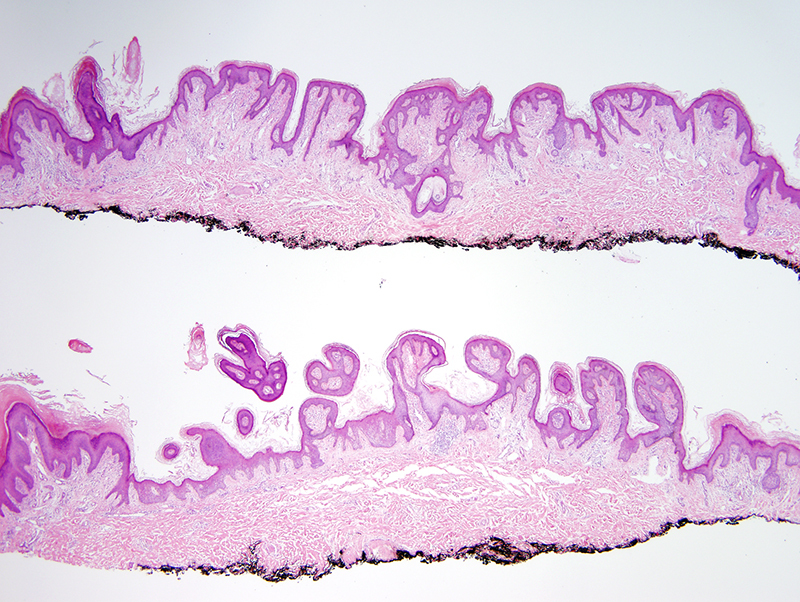 Histologically, they are characterized by acanthosis, papillomatosis and hyperkeratosis.